Room additions are a great way to expand your space and make the best use of your existing home. Hire us as your home remodeling contractor and we can put a beautiful room addition on your house today. You will not need another contractor even if your room addition requires foundation work. Having a general contractor that handles the entire project makes it a lot easier on you. You will not have to manage the stress of dealing with different people, and you will not have to worry about the timing of each part of the job. Contact us today to explore the room addition concept you have. Is it time for a new bedroom for your little daughter who is not so little anymore? Maybe you need a room addition because your parents want to be closer to their grandkids. We can create a beautiful space in either case. If you are looking at a sunroom or an eating area off the kitchen, the design process is different, but we are still the right home remodeling contractor for you. And if your room addition is the master bathroom of your dreams, we are ready for that too! Remember, “one stop shopping,” we will handle the plumbing, too! Give us a call right away to see how easy it really can be. How long has that attic been sitting there just collecting dust? That could be the perfect bedroom for your oldest child. It will provide privacy, but also keep them from climbing out the window. It will not take too much time to make it the perfect room. Converting it into a living space is probably a lot simpler than you think so check with us to see what we can do for you. 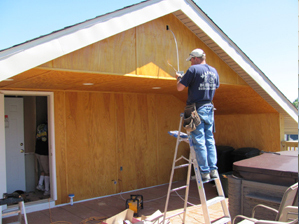 We know that when it comes to room additions, you do not need the headache that comes from an inexperienced contractor. You love your home, and you are excited about adding on to it. We are here to make the process a fulfilling experience for you. 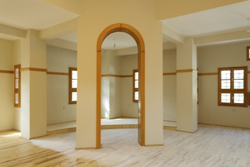 A licensed general contractor will make the whole project easier on you, and we are the right team for the job. Whether you want a new bedroom, bathroom or want to do something fun to your basement, we have the tools and the talent to get it done right. Let’s sit down and design the perfect space for you in your existing home! We do room additions in Carmel, Fishers, Noblesville and surrounding areas. 7962 Oaklandon Rd Suite 106 CIndianapolis, IN 46236Phone: (317) 289-7807Email: contact@gregkearnsbuilderdesigner.comCopyright © 2019 - All Rights Reserved.